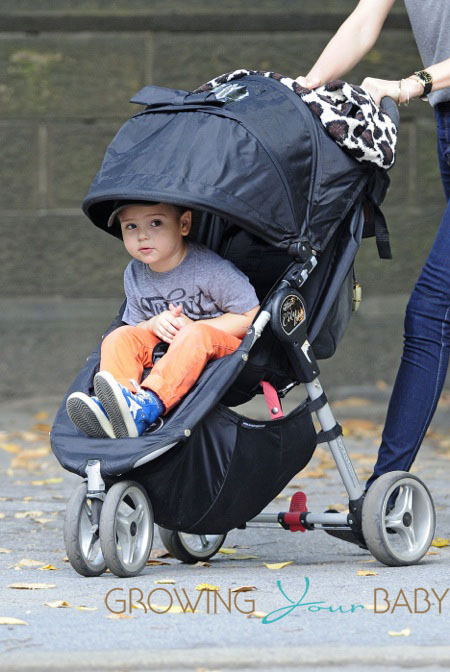 Miranda Kerr and her son Flynn spent a beautiful sunny day strolling through New York City on Friday. The model mama, who is fresh home from Paris Fashion Week, matched her little man in a grey tee and black hat. The pair walked for a short while and then Flynn sat back in his stroller for the rest of the trip. Not wanting to miss any of the excitement, he peeked out from under his canopy to check out the sights. Always wanting to be part of the action, he was also photographed peeking out from behind a blanket when he was very little. Maybe he likes the cameras just like his mom!